New compact FN-Compact-1-1.0 fertigation unit is designed for proportional-dosed addition of fertilizers to irrigation water in small and medium-sized greenhouses, in small areas of open ground, and also provides minimum requirements for growing plants on hydroponics. 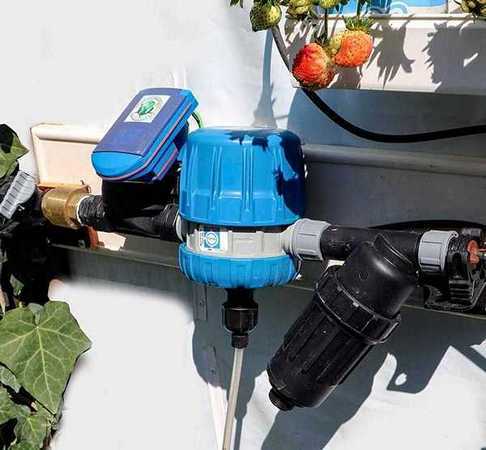 The fertigation unit is supplied complete with strapping, which allows it to be easily and quickly connected to the water source and irrigation system with threaded connections. ATTENTION! It is necessary to monitor the presence of a solution of fertilizers in tanks with a mother liquor, tk. the operation of the dosing pump "idle" can lead to increased wear or the output of the dosing pump. 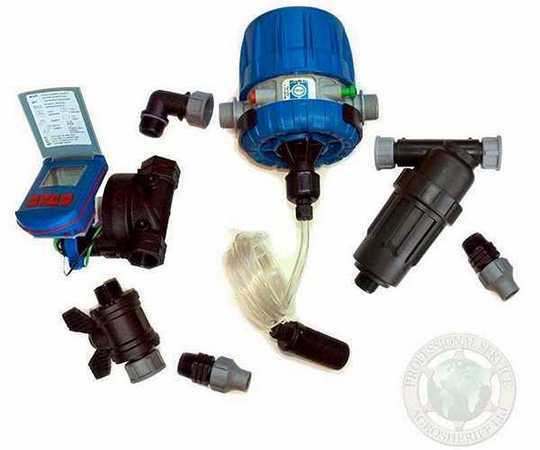 Ferti fertigation units of all modifications are supplied directly from Israel. Delivery is carried out in any country of the world. The cost of delivery is determined by the tariffs in force at the time of delivery. Company Agrosheriff Ltd. constantly improving its products in order to improve their technical characteristics, operability and functionality, in this connection the company reserves the right to insignificantly change the configuration and details of the strapping without degrading the product's parameters. The fertigation unit in the collection, complete with filters, is ready for installation in a greenhouse or on beds.